Welcome to the incredible world of Fishdom! 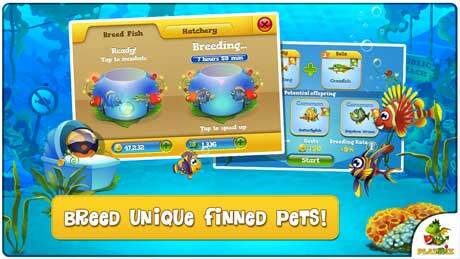 Become a true aquarist with Pocket Fishdom. Take care of your finned friends and play with them, as you breed your own unique fish species. It is so much fun to watch your pets grow from tiny baby fish into amazing adult fish – see for yourself! Choose from a variety of vibrant backgrounds and charming decor items to turn your tank into a design masterpiece. Decorate your tank to increase the chances of getting unique offspring, as well as to receive higher profit from the current tank dwellers. Dive in! 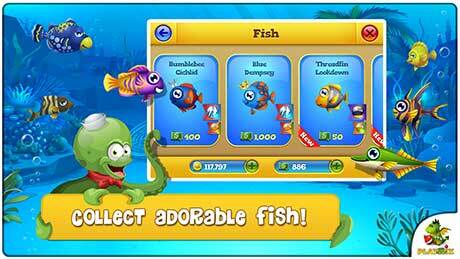 – Create your own collections of adorable fish! – Breed unique fish species. Aren’t you curious what type of fish you are going to have? – Customize your aquariums to your taste with themed backgrounds and astonishing decorations to the delight of your fish and visitors! – Explore the exciting aquatic world of Fishdom with Fishipedia! Every fish in the game is based on a real fish. – Facebook support. 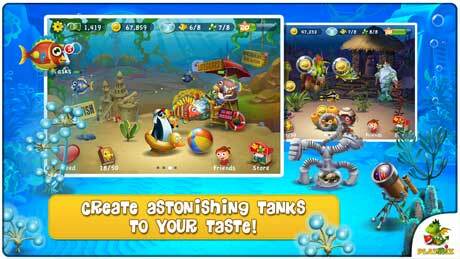 Interact with your friends: Visit their tanks, send gifts, and create your underwater universe together!